Parents have been advised to request for a blood sugar test for their children when they take them to the hospital. This, according to Dr. Thereza Piloya-Were, a Ugandan paediatric endocrinologist, would rule out or confirm the presence of diabetes and help with early interventions. “I have seen even a day-old child with a certain type of diabetes that also needed insulin,” she explained. Dr. Piloya-Were was speaking at the educational and wellness camp for young people with diabetes dubbed: ‘Pamoja’ in Accra. The Pamoja camp, which was organised by Diabetes Youth Care, a Ghanaian NGO with support from Sonia Nabeta Foundation, a Ugandan NGO, aims at educating, empowering and inspiring children with Type 1 diabetes. The programme brought together 83 youth from Ghana, Nigeria, Kenya, Tanzania and Uganda and would encourage the youth to work together on a common agenda and train them on advocacy. Dr. Piloya-Were said Uganda has achieved a lot in terms of identifying diabetes in children, adding that in Uganda, “now every child admitted at the emergency unit is tested to be sure of the blood sugar. “We have moved from thinking that there were only about 100 children with diabetes in Uganda to a database of 1000 children with diabetes,” she mentioned. Dr. Piloya-Were explained that in the past, the Ugandan doctors used to think that diabetes was a “white man’s” disease and so did not have much knowledge in handling it. 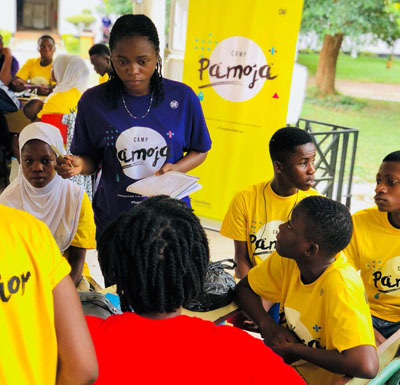 The President of Vivian Nabeta Foundation, Ms Vivian Nabeta, disclosed that the Pajoma camp provided a learning platform for the youth while empowering them to become effective advocates. It also trained the youth in a holistic way to ensure total care for their minds, body and spiritual well-being. ‘Pamoja’ is a Swahili word which is translated as ‘together we can’. She underscored that Type 1 diabetes should never get in the way of a child’s dream.